Here's a blog post from MAG member and distinguished maritime blogger Manu. Manu's blog is a great place to see true & trenchant commentary about things seamen care about - in this case, ECDIS implementation. Read and enjoy! Douglas Stevenson of Seamen's Church Institute, who met with members of the MAG last summer, has interviewed three of the MV Iceberg 1 hostages, along with one of the crewmember's sons. The men give powerfully moving accounts of how they were hijacked, what life was like on board, and - equally important - what life was like for their families back home. The MV Iceberg 1 crewmembers interviewed by SCI are still suffering physical and emotional trauma from the their years in captivity, have been unable to find work at sea or ashore, and are still deeply affected in other ways by their horrific experience. For some, their return home has turned into a new form of suffering. These videos and others in the SCI series on piracy, can also be seen on YouTube. These videos come to us through the Seaman's Church Institute's Seamen's Voices project; the intent is to interview seafarers to learn their experiences get their points of view. What a brilliant idea - ask the seafarer! We can hope that asking us what our lives are like, and how our problems should be solved, will happen more often in our industry. Please have a look, share these with your friends, and think about what you - yes, you! - might be able to do to to ease the suffering of piracy victims everywhere, and to keep hijackings from happening in the first place. Add a comment with your ideas below! MV ALBEDO's Remaining Crewmembers Free! The remaining members of MV Albedo's crew have escaped captivity after 3 years 7 months of misery and torture, and are apparently safe and sound. The Telegraph newspaper is claiming an exclusive on the story, which can be seen here. The men are said to have escaped through a window from the Hobyo house in which the pirate gang had imprisoned them after their ship sank last summer. There was speculation that they were assisted in their escape by some of the pirates, and even a rumor that the pirates had agreed to a lower ransom payment and had released the men willingly. More facts will probably emerge soon. What is known is that they are free, in reasonably good health, and being looked after. The surviving crewmembers are said to be an Iranian, an Indian, six Bangladeshis and three Sri Lankans. The Bangladesh government had tried, last year, to organize an attempt to free their sailors but the initiative went nowhere - see MV Albedo Families Launch Appeal to Pirates and MV Albedo Sinks, Lifeboats Found for more background, and news links about the crew's captivity and their frantic families' attempts to free them. It has been a long, painful saga, and we're very happy that it has ended. Their release is great news, of course - but although the survivors seem to be in good physical health, they will require a lot of care in the coming months. They have been through an unimaginable ordeal, and won't shake it off easily. We haven't heard yet, but hopefully ISWAN and MPHRP will be active in their recovery, along with their families, friends and the governments of their home countries. God bless them! For many years, as a harbor tugboatman, I saw ships come and go. They would arrive, load or discharge, and sail again. We might interact with a dozen of them a day. From a distance, even the short distance from the deck of the tug to the deck of the ship, an outside observer can't tell much about what life is like on board any particular ship. Busy guys in coveralls bustle around the deck; the crews of tugs or bunker barges may interact with them briefly, and note that they seem happy and energetic, or unhappy and harassed. And then they're gone - and for most outside observers, they essentially cease to exist. But earlier in my career I sailed in tankers, and I know something of shipboard life. So I know, as do you, that what is visible to the outsider tells him almost nothing about what life is really like on board that ship. What makes shipboard life good or bad? Many sailors would agree that being paid on time, including proper pay for overtime, would be a big factor. How about food? Chow time can be the high point (or else the low point) of a day at sea, and over time, diet will affect a seaman's health. Communication: does the company provide internet access, at least email, on board - and voice communication when necessary, such as in family emergencies? Or vessel routing plans: are they available to be shared with the crew - ideally, before shipping on board - so that a mariner can evaluate piracy risks with that company before taking the job? There are many factors one might take into account, and since - once signed on board - you'll have to live with those factors for months on end, they loom large in importance. But unless you can talk with someone who has actually worked for a company, you may not learn the score until too late. We know what happened to the crew of MV ICEBERG 1, for instance - though that's a particularly bad case. What to do? This Mariners Action Group blog post from over a year ago talked about our idea of establishing a company rating service, powered by confidential reviews from seamen who had worked for that company and had actual experience with the conditions. At that time, we had been talking with some larger, well-established maritime sites about implementing the idea. But it turned out that no one was really interested. So Mariners Action Group has gone ahead and implemented a company rating tool for ourselves. If you haven't seen it already, look under the "MORE" menu at the top of the page and click "Seafarers Rate Your Companies". You'll see a page where you can enter a shipping company's name, the date of your experience on board, a checkoff list of common issues you might have experienced with that company, and a box to enter any other comments you may have, good or bad. Then hit "Submit". No personal information is taken - your entry will be anonymous. Once you've made an entry, it will be collected and added to a database of seafarers' comments about their companies. That list will appear on another page, which you can reach from the "MORE" menu by clicking "Company Ratings"; or, the same page can be reached directly from the "HOME" page by clicking the blue "Company Ratings" button. Please look at the company rating tool, and think about adding your experiences. If there is something that you think your brother seafarers should know about a company you have worked for, use the rating tool to tell them - before they pay a price. Your participation will determine whether the rating system works! They and their families will thank you. This organization - the Mariners Action Group - is dedicated to those seamen who have been taken captive by pirates. But these unfortunate prisoners don't exist in a vacuum. They have families, extended families, homes, friends, communities. When a seafarer goes captive, so do those who love him. The family's pain is not physical, as their mariner's may be - but it is just as real. This article from The Asian Age makes an important point - quoting Chirag Bhari, Maritime Piracy Humanitarian Response Program (MPHRP) regional director: “Families suffer because no news comes from a ship once it is captured. They learn nothing apart from the fact that the ship has been hijacked and the complete stoppage of information causes more stress. In such cases, it helps to cope if they at least know where their loved one was last reported to be.” Mr. Bahri urges seafarers to inform their families about the routes they will transit and the implied dangers. This is good advice, and we all know it in our hearts. But sometimes it can be hard to tell your loved ones worrisome news, and difficult, also, to press your employer too closely - especially when you're just happy to have a job. In fact, a lot of things can get in the way of doing what we should do. For survivors of piracy, those things can include false pride and fear. How so - and what can we do about it? About two weeks ago, Mariners Action Group members met with Douglas Stevenson - Director, Center for Seafarers' Rights - at the Seamen's Church Institute, Port Newark, NJ, to talk about the issues that confront piracy survivors. SCI, in cooperation with Mount Sinai School of Medicine, has been conducting a landmark study of the psychological impact of piracy on seafarers. The study has interviewed dozens of piracy survivors. You can read the results of the study so far, and see YouTube videos of some of those mariners, here. One factor the study is investigating is what they call "post-event care" - psychological follow-up care to help the piracy victim cope with his traumatic experience, adjust to freedom and family life again, and prepare to go back to sea. Post-event care is important to the seafarer personally, and it's important to his family that he be able to have it. Unfortunately, post-event care is not available to some survivors; but even when it is, it is often refused. Why would that be? One reason is that many people regard psychological care as stigmatizing! They're afraid that others - even families & friends who love them - will see them as weak or damaged if they accept such care. Many seamen think, "I'm strong, I can take it - I don't need help". That's where false pride comes in. But refusing help isn't proof of strength, any more than refusing education would be proof of great intelligence. To get into a good career, one would rely on teachers and mentors to help master the needed knowledge. Similarly, to overcome the pain and damage of pirate captivity, doctors and caregivers can help a survivor to gain mastery over those experiences. In neither case is there shame in honorably getting the help you need to reach the goal. The seafarer needs to understand this, so he can benefit from the care - but his understanding, by itself, is not enough. The SCI study showed that seafarers often don't trust post-event care providers to safeguard their privacy. They fear that their medical records will be disclosed without their permission to potential employers, resulting in their being blacklisted and unable to work. It's an understandable worry. But it stems from that misconception that if you have received care, there is something wrong with you. If the seafarer thinks that a possible employer will look at his post-event care that way, he will refuse the care. So it's not enough for the seafarer to understand that getting post-event care is a good thing to do; his family, friends, and future employers need to understand this, too. You can help the seamen in your family - and other seafarers in your community, as well - by helping to combat this damaging misconception about post-event care. Getting care should carry no stigma! The stigma - if there is any - should more rightfully be on the man who refuses care when it is offered; and on those employers who mistakenly think that getting post-event care indicates some flaw or weakness in that sailor. Seeking care should indicate just the opposite: a man who seeks post-event care is choosing to take care of that trauma so he can move on, unencumbered, as a whole man - to the benefit of his company, his shipmates, his family, and himself. Employers should see it as a plus that piracy survivors have had post-event care. To quote the SCI/Sinai study's authors, "Proper rehabilitation yields a seafarer capable of serving effectively and safely, and ship owners should remember that a seafarer who discloses symptoms and receives treatment is a safer employee than one who keeps silent for fear of lost income." What insight can you give the rest of us about the promise and problems of post-event care? Please comment below - we need to hear from you! The abandoned crew of MV ALBEDO have yet to be heard from. The government of Bangladesh seems to have word that at least their 7 compatriots are still alive, although Bangladesh's latest efforts to raise the ransom to free them have not met with success (see previous post). Any seamen's heart will bleed for these men - any seaman can easily visualize himself or herself in the same helpless situation. 31 miserable months captive - ship abandoned by the owner, now sunk - relentlessly abused by their captors to pressure their families for money they haven't got - unbearable pain for their families - helpless, hopeless, Hell on earth, how do you describe a situation like that? Yet it's their reality, and the reality of many other pirate victims right this minute. How long can the world go on ignoring this situation? Well, don't try to answer that question unless you're courting despair. This post from Barista Uno details a new development in the sad saga, this time from the families' end of the suffering. It's an appeal from the crewmembers' families, directly to the Somali pirates, their clans and families. Please read it for yourself, as nothing else can express it more powerfully. And continue to pray for these men and their tortured families! Most of us will immediately know the story of MV ALBEDO - another cause celebre in the sorry story of Somalian piracy. She was hijacked on 26 November 2010, 900 NM East of Mogadishu. Seven Pakistani crewmembers, including Captain Jawaid, came home in August of last year, but 15 other crewmen - seven Bangladeshis, six Sri Lankans, one Indian, and one Iranian - had to remain behind as bait for further ransom. Another Indian sailor had been shot by the pirates in 2011. Finally, on Monday of this week the ship sank. No one has been entirely sure how many of the remaining crew survived the sinking, or where they were. Captain Jawaid's family were featured in a movie called Piracy - The Human Cost that was released last year. His daughters worked tirelessly, and successfully, to gain his freedom. They established a Facebook page here to raise support and money. The other 15 members of his crew have not been so lucky, however. The 23 MV ALBEDO sailors have been subjected to horrific treatment and torture in the nearly 3 years they have been captive. Not only was one crewman shot, but all of the crewmen were beaten, maimed, deprived of food, water, and rest for days at a time, and not permitted to use the head. The Captain was trussed up at one point and dunked in the sea, while pirates fired into the water around him. This story from The National tells some of the tale. When the ship sank last Monday, it was not known what had happened to the remaining 15 - in fact, it was reported that several of the crew and pirates had died in the sinking. However, this story from bdnews24.com - a Bangladeshi online news source - reports that the seven Bangladeshi crewmen are alive, according to the Bangladesh Ministry of Foreign Affairs. And the presence of the two lifeboats on the beach - about 14 miles from the site of the sinking - might indicate that more of the captives had survived. Now that the ship has sunk, the pirates may have a weaker negotiating hand with the shipowner, but things look to be worse for the surviving crew. The bdnews24.com story indicates that the Bangladesh government knows something about their sailors, at least, but no one has said where they are being held. Maybe these last sad developments will spur both sides to resolve the situation at last and get these abused seamen home again. Pray for these men! Mr. Pralav Dhyani, son of MAG member Archana, is being interviewed tomorrow on the popular CBC Radio program The Current. The interview will air tomorrow - Wednesday, 26 June. If you can't catch it, it will be available on the Web at the link above when you have the opportunity. Mr. Dhyani should be able to vividly educate The Current's listeners about the Hell of pirate captivity - he certainly has the experience to back it up. Pralav Dhyani survived 11 months captivity on MV RAK Afrikana, which was hijacked off Seychelles by Somali pirates on 11 April 2010. The ship was held 332 days and finally released on 8 March 2011. Mr. Dhyani subsequently wrote a paper about the experience, which can be read here. Mr. Dhyani was approached about the interview by one of the show's producers - indicating that there is enough public interest in piracy survivors that CBC thought it would make a strong topic for a show. That's an encouraging development, and the show's airing tomorrow should add to that public interest. Try to catch the show, and let others know about it. Write in to The Current website with comments, too, if you have them. Share your own thoughts and experiences. The general public all over the world has so little understanding of this issue that I feel opportunities like this one shouldn't be wasted. And comment here, too, to let us know what you thought of the interview! Good news for another captive crew - the crew of the chemical tanker ROYAL GRACE have been released after a year's captivity. The crew have received initial medical treatment, and are apparently in pretty good shape. We'll follow up on this story as more becomes known - the ship is said to be en route for Muscat, where presumably the crew will be relieved and re-storing & repairs will be done on the ship. Click on the photo above for the story on gCaptain's site. You'll have noticed that we haven't posted in a while, and that the website landing page still refers to the captive crew of MV ICEBERG 1 - who were thankfully released some time ago. The explanation is that our group - all volunteers, with day jobs - have relaxed a bit, after the long-awaited release of the Iceberg 1 crew that originally brought us into existence. We've had to refocus this organization, and as our members come from all over the world, that has taken some time. Our new thrust will be to cover piracy victims everywhere in the world, and to act as a link between piracy victims and those entities that exist to help them and their families. Our Mission Statement will be updated shortly - we're still awaiting input from some of our members. At that time the landing page will be updated to reflect our new aims and services, and we'll begin a series of new ventures aimed at helping seafarers worldwide. Please consider joining the MAG and putting in your two cents about what piracy victims, and seafarers in general want and need. We need your point of view and your energy - and so do they. It's not about gaining a high number of members - membership in the MAG is free, and always will be. It's that your point of view is one that no one else has; your knowledge or experience may suggest something that turns out to be crucial. We need you! So stay tuned! And keep working and praying for piracy victims and their families. It's been easy to get wrapped up in the good news that the Iceberg 1 hostages are off their Hell ship and home again. Our tendency may be to think that their problems are now substantially over - the torture, beatings and starvation are now things of the past, and they're back in the bosom of their loving families. But these three news items tell a different story. Here's the lead sentence from the Mumbai Mirror: "Seaman Swapnil Jadhav, 25, still shivers at the slightest noise. Held captive for 33 months by pirates in Somalia, Jadhav is yet to come to terms with his release along with four other Indian sailors." The story goes on to detail the efforts of psychiatrist Dr Harish Shetty and the MPHRP to help Swapnil and the other recovering Indian sailors. The Times Of India reports: "They are still haunted by memories of their detention: spending four months next to a freezer with a body inside, and witnessing their officers being hung upside down and tortured and the ears of a senior officer being chopped off." And these stories from several days ago in the Inquirer Global Nation and The National detail the problems that all the freed seamen are having collecting their back pay from Azal Shipping - who owe them, in most cases, over three years' wages! Think of the effect on their families at home over the past three years, as they've struggled not only with fear for their loved one's safety, but with penury as well. These family members have been victims, too. In spite of this, one rescued sailor, 31-year old Gerald Gonzales of the Philippines, says that he will probably go back to sea after he recovers. But next time, he says, he will be more careful who he works for. The ITF and MPHRP, among others, are working to assist the battered men and to recover their wages. This blog will be keeping our eyes and ears open for other news, or any action we can support to get justice for the former hostages. If you hear of any such initiatives, we'd thank you to let Piracy Today know so we can help spread the word and garner support. We all owe these men our prayers and support - for, "there, but for the grace of God, go I." THE ITF (International Transport Workers Federation) has issued a call for Panama - flag state of the long-held MV Iceberg 1 - to join in helping the 22 recently rescued crew members. The freed men are trying to cope with the medical and psychological aftereffects of their brutal 33-month captivity, and are attempting to rebuild their lives. The men have not been helped by the fact that their employer, Azal Shipping & Cargo, stopped the men's pay as soon as they were captured. So some of the men are returning home to families who have been devastated by the nearly three-year interruption of financial support. The returned captives have begun to receive help from UNPOS, the United Nations Office on Drugs & Crime Hostage Support Program, the Maritime Piracy Humanitarian Response Programme (MPHRP), and the ITF, among others. .3 shipowners look after the welfare of captured seafarers and their families. 4.2 The Administration should establish, as necessary, plans and procedures to assist owners, managers and operators of ships entitled to fly its flag in the speedy resolution of hijacking cases occurring in the waters off the coast of Somalia, including the Gulf of Aden and the western Indian Ocean. No more has been heard yet about Dheeraj Tiwari, the brave First Officer who was taken off the ship by the pirates over a year before it was freed by PMPF last month. Although he was not among those rescued in December, his family, too, is in distress. Where has Panama been? Prominent maritime blogger Barista Uno put it like this: "Panama should be ashamed. The ITF (International Transport Workers’ Federation) is now having to call on it to help the recently released crew of the Panama-flagged MV Iceberg 1 recover from their ordeal in the hands of Somali pirates. Panama should have been amongst the first to come to their succor. Its seeming lack of concern doesn’t speak well of the country. Is Panama only after the money to be made from operating the world’s largest ship register?" I know everyone's heard about the rescue, just before Christmas, of the 22 surviving sailors on MV Iceberg 1. Those men had been held by Somali pirates since March of 2010 - a total of 33 miserable months! The men were finally freed by the Puntland Maritime Police Force (PMPF), a UAE-financed force meant to combat piracy on the ground in Puntland. It's said that the owner of the Iceberg's cargo (and not the shipowner, Azal Shipping of Dubai) paid $1.5 million to the Puntland government for the operation. Azal had abandoned the ship and crew early on, either because the company lacked the funds to ransom the crew, or because they were unwilling to pay the price. I read that in one ransom negotiation, the pirates asked for $3.5 million and Azal countered by offering $300,000. Either Azal were not seriously negotiating - playing fast and loose with innocent men's lives - or else, Azal is a very poorly-financed or poorly-run shipping company! Azal also stopped the men's pay after their capture, adding to the stress and suffering of their families. Any prudent seaman should think twice before accepting employment with Azal Shipping in future - or any other company with a similar record. If you've been following the MV Iceberg 1 case, either in the news, on the MV Iceberg 1 Mariners Action Group website, or on my own The Chain Locker blog, you know that the captives have suffered absolutely horrific treatment over the last 33 months. They've been subjected to extremely close confinement with no fresh air, exercise, even little sunlight; and they've been routinely deprived of food and clean water. In addition they've been subjected to regular beatings, torture, psychological abuse and death threats - even maimings, such as Yemeni seaman Mohamad Abdulla Ali having his ears sliced. It was all too much for Yemeni 3rd officer Wagdi Akram, who in despair committed suicide over two years ago. But all the survivors carry scars, on their bodies and on their souls. How would you or I react to such treatment? We never really know until we're forced to face it. As a young patrol boat crewman, I remember our POW training before being sent to Vietnam back in the 1960s. I was a foolish, fit young 19-year-old at the time, and thought nothing could beat me! But our short week of survival and POW camp training quickly humbled me. And we were primarily outside and active, even in the mock POW camp. We also knew it was only an exercise, and we knew the time limit. The men of MV Iceberg 1 have been exposed to far more debilitating treatment, for a far longer time - and the same goes for all the men in pirate captivity. Daily, indeterminate misery, with no end in sight - sometimes beginning to believe, as several of the Iceberg captives stated, that no one is ever going to come for you, or that your suffering can end only in death - that experience would sap the strongest spirit. Stories of pirate captivity often relate how shipboard discipline breaks down, each man for himself; some men even going over to the pirate side, out of self-interest or due to the "Stockholm syndrome". Until we're tested ourselves, we don't know who we might become, or what we might do, under those conditions. But some men pass the test! There was at least one such man on the MV Iceberg 1: First Officer Dheeraj Kumar Tiwari. Mr. Tiwari seems never to have forgotten his responsibility to his men as a senior officer, second-in-command of the ship. According to the men who were rescued last month, Mr. Tiwari repeatedly placed himself in harm's way to protest the mistreatment of others in the crew, drawing upon himself many beatings as a result. He also acted as spokesman for the crew, as testified by recorded phone calls and video interviews such as the one above. At 27 - still a young man - he showed the kind of courage, steadiness, and care for his men that every Master should display. I've no doubt that, if he yet survives, he will become one. "If" he survives? Yes - sadly, Mr. Tiwari was not rescued with the others, and his whereabouts and condition are unknown. This hero disappeared from the ship in September, 2011, after a severe beating. Members of the crew who inquired about him were told by the pirates that they did not know where he had gone - an unlikely story. Some of the crew thought that the pirates may have been hiding the fact that Mr. Tiwari had been murdered, but at this point no one knows. He could still be held ashore - perhaps he was taken off the ship because he persisted in standing up to the pirates. But, since the last group of pirates who were holding the ship eluded capture and can't be questioned, we may not learn the truth for some time. The Puntland government has pledged to find them, but that may be difficult. Dheeraj Tiwari's family, led by his father Purushottam Tiwari, are appealing for news of their son. Admittedly, it's unlikely that any of us will be able to help the family directly. But if anyone reading this comes across any news, or hears anything that could be of any help to this brave man or his anxious family, please relay it immediately to the MV Iceberg 1 Mariners Action Group Facebook page - I know that members of the Tiwari family are monitoring the Facebook page, and I'll ensure that they hear about it. Dheeraj Kumar Tiwari courageously stood up for others - let's do anything we possibly can for him! You're looking at a new phone. You wonder whether it's right for you. Is the quality good? Can you read the screen in sunlight? How is the software? If you just read the company ads, everything looks great - but is that the whole story? How can you tell more about what using that phone would really be like, before you spend your hard-earned cash? As modern users of technology, we know the answer to that question. If we want to know things about that phone that we won't see in the ads, we check the user reviews - every product has them. The company may not tell us that the battery life is short - but user reviews will quickly point that out. The company won't mention that the phone may have signal problems when held a certain way - users will squawk about that immediately. If we want the truth, we'll want to see what people who have actually used that phone are saying! And though any one review may not be useful to us, reading many reviews will give us a good idea of the phone's real strengths and weaknesses, and how it compares to other similar phones. Reading user reviews, just like talking to actual users, gives us a much better basis for making our decision about that phone. After all, those folks have already bought the phone and lived with it - and we can learn from their experience. What if we could do the same thing with shipping companies - what if we could easily check with other seamen who had worked for that outfit and knew the inside story? What if we could find out from a company's own employees whether they're often late paying their crews, or find out what kind of food they serve - learn whether they abide by Union standards, or pay attention to safety? Knowing those things would give us a better basis for making employment decisions - and it would also increase pressure on substandard companies to shape up. Qualified seafarers are needed by the world's fleets. But substandard companies who have been publicly "named and shamed" would have trouble attracting good men. You can say that we already know about companies' reputations - after all, who gossips more than sailors? But companies come and go, they merge, they change flags and names. A central repository of constantly updated company information, supplied by sailors and publicly available on the Web, would spread the word much faster - and might save some men from miserable experiences. It could shift the balance of power ever so slightly in the seaman's favor. Think - what kind of company was Azal Shipping? We know they didn't invest in piracy insurance, and took a dangerous shortcut that made them more vulnerable to pirate attack. And the crew paid the price. If they had known more about Azal Shipping, would some of MV Iceberg 1's sailors have made a different decision about working there? Maybe they wouldn't be hostages today. This idea - making a useful, confidential tool for sailors to "rate" their companies - is one that we've been discussing among the MAG membership, and I wanted to throw it open to the readers of this blog: Would you, as a working seaman, be willing to confidentially rate the company you work for - knowing that other seamen would benefit from what you had to say? If such a tool existed, how should it work - how could it be made easy to use and easy to access? Can you point us to any existing tools that you use and like to rate other things? Let me know what you think, even if you think it's dumb idea - then tell me why, and what you think would work better. Knowledge is power. Let's build something that will help seamen! Royal Grace Families Speak Out - Will You? Many readers, especially in India. will be familiar with this story. 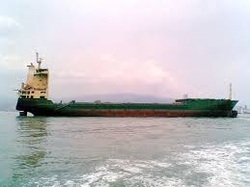 Briefly, MT ROYAL GRACE, a tanker, was hijacked in March off the coast of Oman by Somali pirates. Here is a bare-bones rundown of the current situation from Maritime Executive. Like MV ICEBERG 1, one crewmember has died, in this case from a medical problem that I'm sure couldn't be properly addressed because he was hostage. According to this story in The Hindu, ROYAL GRACE's captors have threatened to begin drowning the men, one at a time, if their demands are not met by 30 November. The MT ROYAL GRACE hostages' families have besieged India's Shipping Ministry in Delhi - to what effect, I'm not sure. None of the news items I've seen, including this recent dateline from The National, indicate that they've gotten any sort of action yet. Indeed, I have no suggestions for action that could make a difference in this very short term, either. The drownings are supposed to begin today! The threat may be pirate hyperbole, but if you were a hostage's parent, would you want to take that chance? You'd want action now. What would that be? There is military action - which would in itself endanger the hostages. Or the Indian government could pay the ransom itself, since the shipping company, as in the MV ICEBERG 1 case, has apparently abandoned the men. But that would set a precedent that might result in similar threats against current Indian hostages, already at risk - see this earlier post - and it would increase the danger of capture for other Indian mariners. The fog of helplessness swirling around these hostages - and all the pirate hostages of all nationalities, including those of MV ICEBERG 1 - seems as thick as ever. One is that by letting hostage negotiations drift along as we do, we make it almost inevitable that an impasse like this one will eventually arrive. At this stage of negotiation, most of the options are bad ones. There is a leadership vacuum here, and until someone fills it, this sort of thing will continue - and add to the suffering and death of more seamen. Who will fill this vacuum? India has made somewhat encouraging noises at the UN lately, but we'll see if those words bear fruit in action. We should support the Indian government if it does begin to move in earnest. The second thing that occurs to me is that the MT ROYAL GRACE families, as usually seems to be the case with hostage families, are apparently acting entirely on their own. They don't seem to be in combination with any other hostage families, and seem to have no way to amplify their voices and focus their protest. This could be only my perception, as I'm not on the scene, so correct me if I'm wrong. But the pictures of the families standing humbly outside the Shipping Ministry in their grief and pain, apparently being ignored by the bureaucracy within, seems insupportable to me. It should infuriate us all! Shipping companies by nature follow their own concerns, and are unlikely to cooperate very much on this issue - many of them seem unable even to address the capture of their own ships. Individuals are often powerless to do more than try to speak out publicly as countless hostage families have already done, usually to little effect. Seamen, too, as a group are relatively powerless and uninvolved, although some of this is our own fault. As one of MV Iceberg 1 Mariners Action Group's members has stated in his blog, "Many of us - seamen - are cynical about our industry, weary with the crap dished out to us, feel powerless to change anything, and feel that a petition will accomplish nothing." But why not come together behind action that recognizes our common dilemma and amplifies our voices? MV Iceberg 1 MAG has started a petition to the Indian Shipping Ministry and the Indian President. Consider adding your voice by signing it right now. If you've seen that petition, but don't feel that it adequately addresses the issue, get Mariners Action Group to put forward one that does. Comment below and tell us what you think would be better. Your opinion would be welcome and would be heeded. Or, start your own petition - there are links to do so through Change.org right on the MV Iceberg 1 petition page. I promise you that if you do start a petition of your own, I'll sign it and help spread the word! We need the world's attention focused on our problem, and action taken to address it. It doesn't matter who, or how - no one group's action is more important than anyone else's, if it leads toward a solution that gets these seamen home. And think: if seamen don't treat these hostages as important, why should the rest of the world? As a group - as seamen - we can take this issue and make it important. No one else will do this for us. 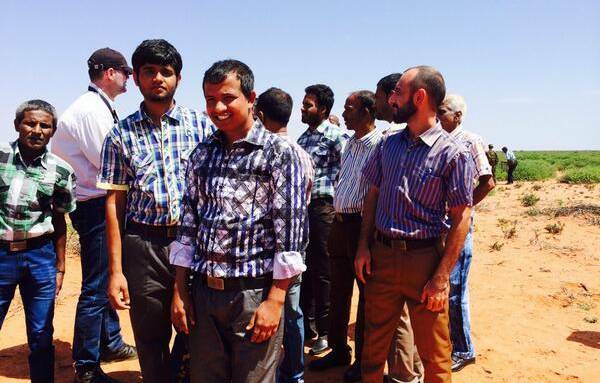 The images of distressed hostage families standing hopelessly outside the Shipping Ministry should galvanize us all. Don't leave them standing there - let's support them, and all hostages and their families, by doing what we can today! We're all in this together. Sometimes it seems as if you're almost buzzing in a vacuum - that your life is confined in a finite space containing family and friends, shipmates when at sea, and expanded just a little by hopes for the future; hopes you may be afraid to believe in, when you can look back on so many dashed hopes in the past! Then someone speaks up, and for a moment your familiar, finite world is lighted with possibility and new direction. That has happened lately to us at MV Iceberg 1 Mariners Action Group. We've had some new watch mates tail onto the rope and begin to pull vigorously! Let's take time to meet some of the folks who have decided to help tackle our daunting, some might say impossible, task: to free these prisoners. Barista Uno, seaman and author of the excellent, well-known Marine Cafe Blog has offered to run ads for the MAG and to help bring attention to the petition. Influential maritime blogger Manu, the author of the fine blogs Manu's Scripts, Manu's News, and Postcards from Styx, and also a former sea captain with broad experience in the maritime world, has joined the MAG and signed the petition. You can read about his conflicted emotions as he did so, because, as he says, "I don't like petitions". Hennie la Grange, of International Christian Maritime Association (ICMA) featured MV Iceberg 1 in a blog post, and joined the MAG. They are praying for the MV Iceberg 1 captives, too. Christina Sun, a gifted artist and maritime activist who has done great work chronicling the rich maritime world of New York harbor, joined, signed the petition, spoke up publicly about MV Iceberg 1 at an NAMEPA Safety at Sea seminar, and is creating a logo for the MAG. Don't miss her site here. Each one of these people saw a chance to push for change in the terrible status quo the MV Iceberg 1 prisoners have fallen into. It may seem almost impossible that we, as fellow seamen, can make any difference in their lot. When did the world ever listen to seamen? We're not an influential group. But that doesn't mean we should give up and abandon them to their fate and to the actions of the powerful interests. I think we seamen have something to say, too, and we should say it. So please have a look at the petition, and add your name! As Manu noted: "In any case, you have nothing to lose if you sign except your cynicism." I wanted a picture for the head of this post, so I looked through the few photos we have of MV Iceberg 1 or her crew. You see this picture over and over, because it's one of very few photos of any of the crew. Do you ever get tired of looking at it? That photo is actually quite old - I don't know precisely when it was taken, but it was fairly early in the crew's captivity. Look at the men. If they were dejected then, if they were tired, sick, and hopeless then, think what they must be feeling today. We may be tired of this photo - but think of how tired these men and their shipmates are of their endless captivity and abuse! This group - MV Iceberg 1 Mariners Action Group - was formed by fellow mariners with one goal in mind: to help bring pressure to free these hostages. It has taken us a while to get organized, but your support and encouragement have helped a lot. Now our first petition is ready for your signature. You can find the petition here. This is the first of what we intend to be many petitions directed toward company or government officials, or other persons who might be able to help these hostages. This one is directed toward the President of India, Mr. Shri Pranab Mukherjee, and the Indian Minister of Shipping, Mr. Shri G. K. Vasan. 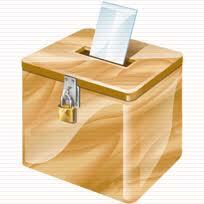 Other petitions will target other individuals; you can influence the content and direction of future petitions! And Mariners Action Group needs your help. Let us know who else should be petitioned, and what you think those petitions should say. And support this initial petition with your signature! One of this group's founders, a shipmaster in his own right, put it like this: If MV Iceberg 1 was sinking, we'd rush to their aid with everything we had. Why is the world letting these men founder in captivity without lifting a finger? They're dying just the same as if their ship was going down. MV Iceberg 1 may not be sinking, but we still need to do what we can. We're all human beings - many of us are seamen or are members of a seaman's family - we know these hostages need freedom now! Let's make this petition a living testament to our support for them. Please sign it, and tell your shipmates and friends. Think of the support you'd like to see if you were hostage - and act today! "BOURBON confirms that the 7 crew members, 6 Russians and 1 Estonian, abducted during the boarding of the Bourbon Liberty 249 off the coast of Nigeria, on October 15, 2012, were released today." So begins a story on Safety4Sea telling us that these men have been released, are receiving care from the Bourbon Emergency Unit in Nigeria, and will soon be back with their families. See the story of their capture, several weeks ago, here. Citing confidentiality, no details have been released relative to ransom demands, payment, or anything else about how the release was negotiated. Bourbon thanked those who supported and encouraged them while bringing about the men's release, including the Nigerian authorities and the Nigerian, Russian, Estonian, Luxemburg and French Governments. We're glad these men have been so quickly freed! It powerfully demonstrates the importance of a company committed to vigorous action on behalf of their employees in harms way - and it shows the good that can be done by national governments who step forward to support their own captured citizens. Someone cared about these men, took action, and now they are free. I wish every hostage situation could end as well as this one! Mariners Action Group advocates for the victims of modern piracy, not only off the coast of Somalia but worldwide. Feel free to suggest, comment & criticize - power up the effort with your point of view!